Decaisena fargesii is a choice large, deciduous shrub or in time a multi-trunk tree. 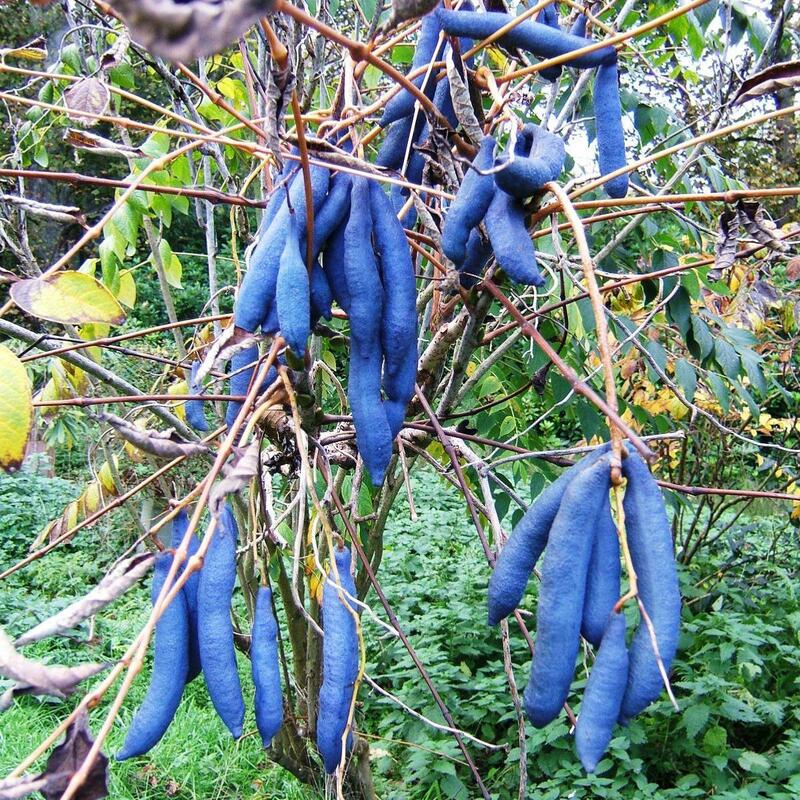 It has bold pinnate blue green leaves which grow to 50cm in length, turning a clear yellow colour in autumn. 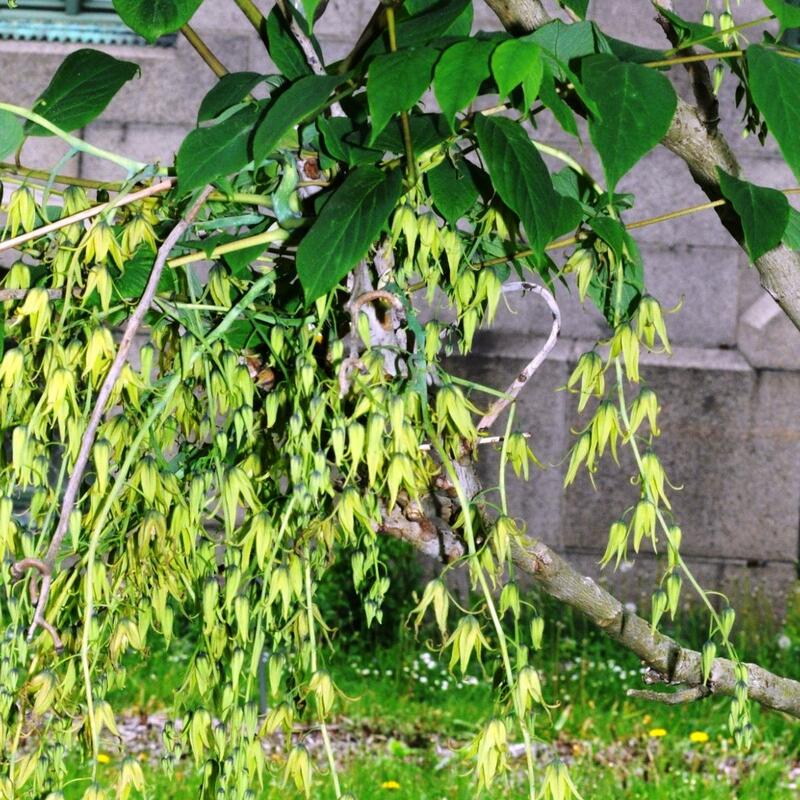 In June and July, it produces long racemes of greenish flowers which are followed in autumn by blue bean like fruits of up to 10cm long held in bunches. 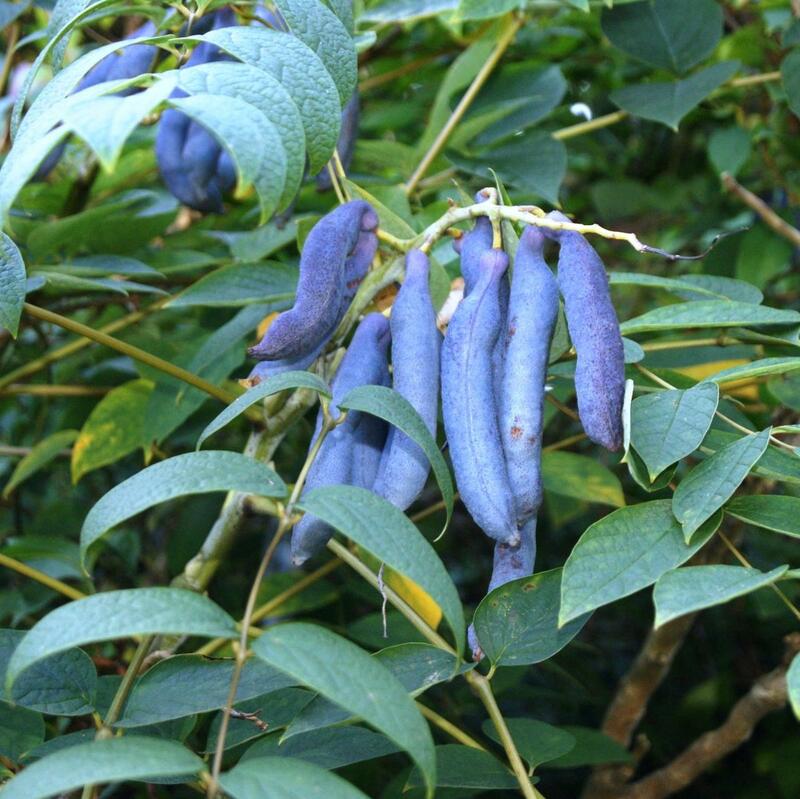 It is mainly for the fruit that this shrub is chosen, but the flowers are borne in profusion and are unusual and attractive, and the autumn colour is a rich gold. 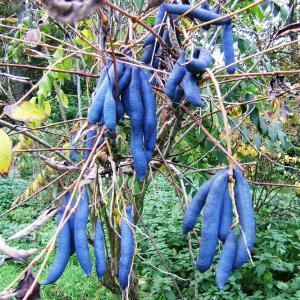 After leaf fall the ultramarine blue sausage-like fruits come into their own, and these give the plant one of its common names, Dead Man’s Fingers. Despite the name the fruit in not toxic and the flesh within is quite sweet and palatable. It was forage food for the native peoples of Sikkim in the Himalaya. In order to get the best possible ornamental effect, it is best to plant these in groups to enable cross pollination and therefore maximise fruit production.